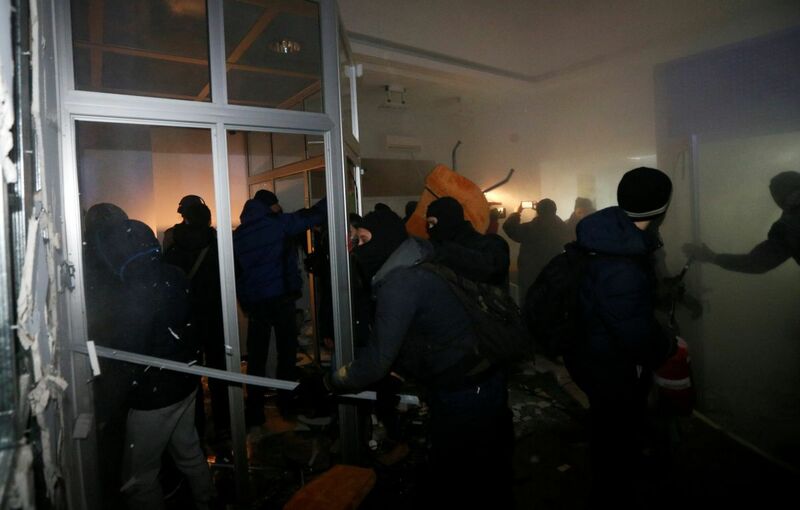 Footage showing how protesters in Kyiv were smashing windows and ransacking a branch of a Russian bank, Sberbank, on Monday, November 21, has been shared on the Internet. The branch is located on Pushkinska Street near the Leo Tolstoy Square subway station. 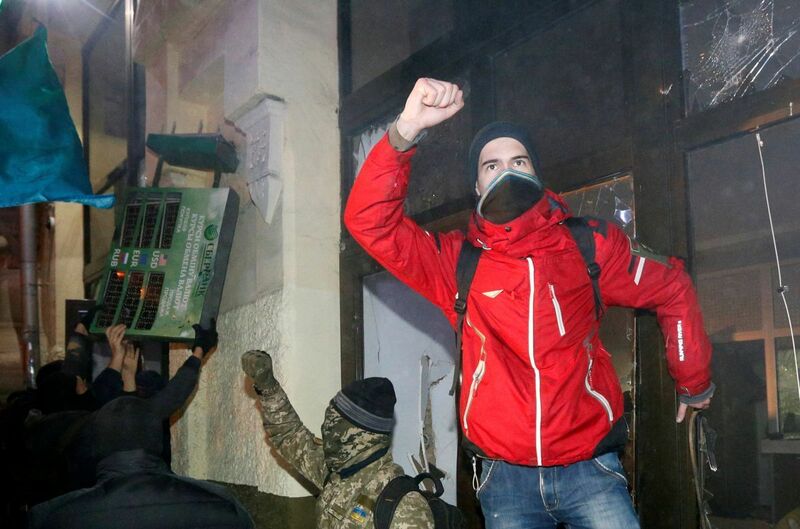 The incident took place when Ukraine was marking the third anniversary of the Revolution of Dignity. 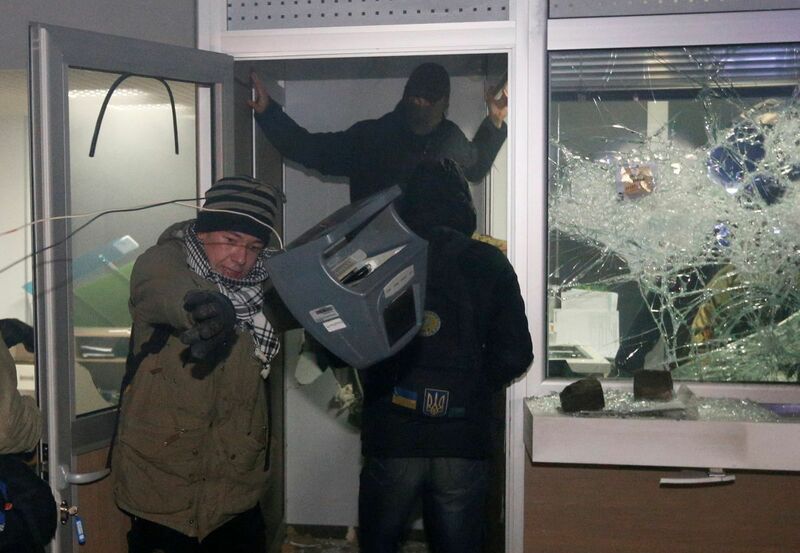 The police cordoned off the building where the bank's office is located.